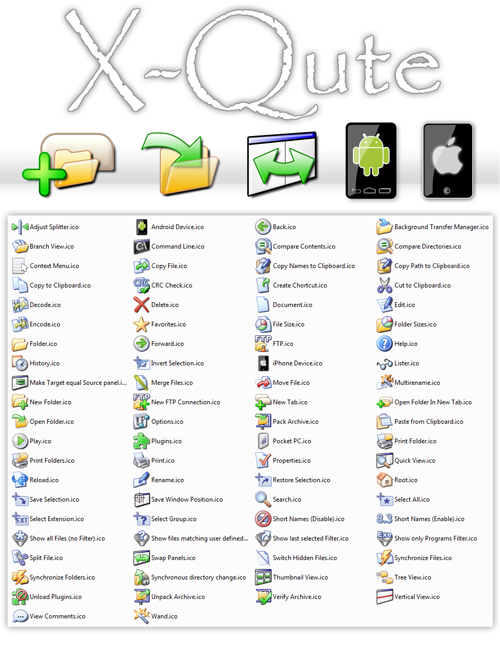 This icon set is based on Arvid Axelsson's Qute theme for an old Firefox version. The icon set is provided with a sample Button Bar file for easy installation & use. Also comes with a TC7+ compatible .inc file for easy command association. 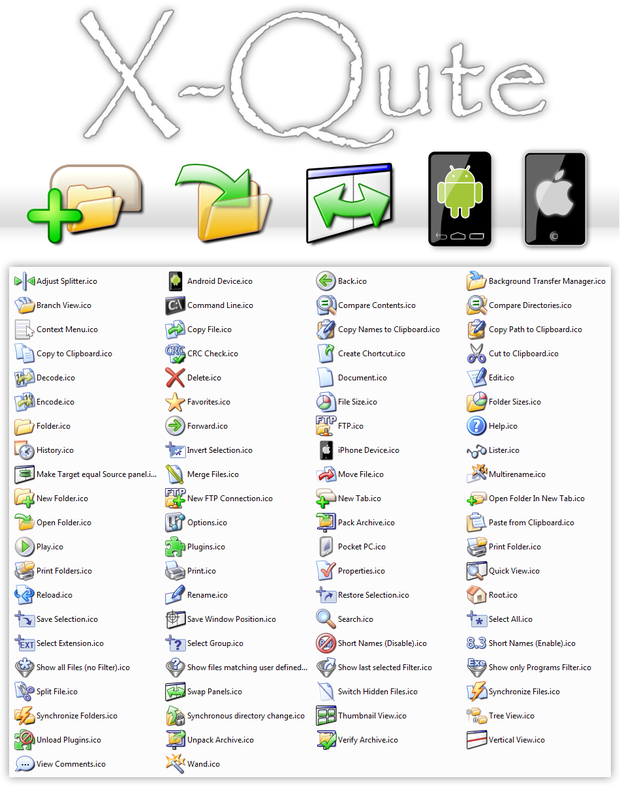 Read the included X-Qute_ReadMe.txt for further information on usage and installation! 32x32 pixel and 16x16 pixel which also scale nice at 24x24 pixel.